I was about 15 years old when I first saw David Lean’s epic movie Lawrence of Arabia, with Omar Sharif in the role of Th. E. Lawrence’s friend Ali Ibn El Karish. The movie is somehow part of the reasons why I became an actress. Masterly directed, with great actors, unusual characters, incredible landscapes wonderfully filmed, and the unforgettable symphonic music of Maurice Jarre. Great opera on screen, as I always said: the great movies are the logical modern consequence of the great opera. When the movie was produced, I wasn’t born yet, probably not even planned. Lawrence of Arabia, as well as Dr. Zhivago, are movies that were already old when they formed my vision of what movies should be like. Yet, their impact was still very strong on later generations, and continues today, almost 55 years after their release, while technology has long left the movies of that time behind. But they speak without all this new technology. They speak through intensity, through image and music, through their content and the personality of their actors. Because those actors, at least in the way they were presented, were no ordinary people. They were maybe prototypes – but they were able to influence the ideals of the mind of an adolescent. And so the actors were different. Unreachable, untouchable. Great people in a real world. Today, such characters are created through epic movies in virtual worlds. The human mind seemingly needs to go beyond reality. Those movies set up in our reality usually use actors who might be the friendly girl or the funny guy next door to us. It is interesting how the faces used in unreal worlds have become much more ordinary. The way of acting has changed, has become more natural, less idealistic. The rhythm of the movies has changed. The long, almost meditative parts of desert shots with symphonic music that characterize Lawrence of Arabia are rare today. Big movies today are usually fast-paced. Time is precious, today more than ever. 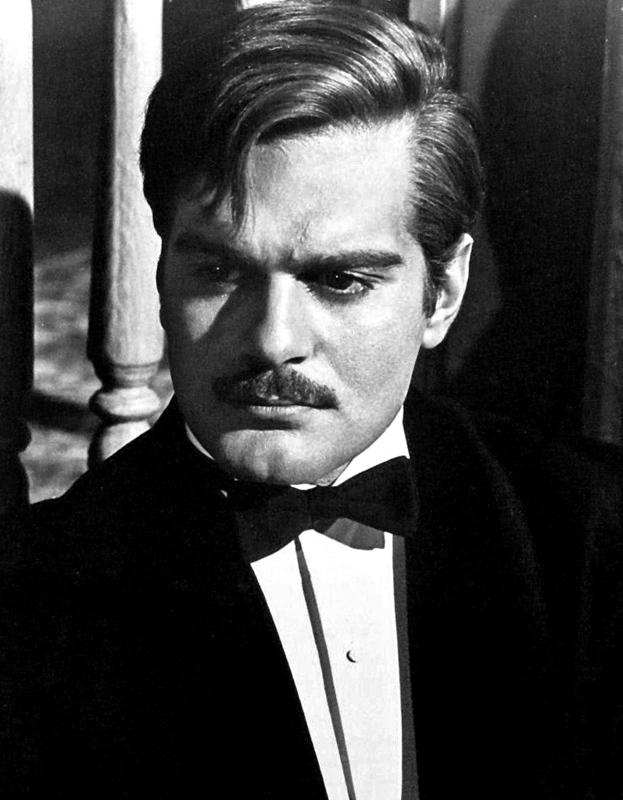 The death of Omar Sharif marks for me the end of a time that is long gone and whose ideals and idols, mindset and greatness have influenced the cinema in a definite way. Their vibration has been flowing into our mindsets of today, making works like Dr. Zhivago and Lawrence of Arabia immortal, and yet, as that generation of leading actors is dying out, they’re becoming history. In 2003, when still under contract, I decided to stop acting and do what I’d actually wanted to do: writing, and producing documentaries, primarily about nature. I never again accepted a part as an actress offered to me. The reason was that the cinema that I had imagined when seeing those big and meaningful movies, was already gone when I started acting school. I found the echo of it in the beautiful movies of Luigi Magni that I participated in. But also that epoch of the 1990’s would pass, and what I then found were productions almost entirely done in studios, while the world presented to the audience often was created by a computer. With increasing technical quality and request, the cinema slowly lost its fascination for me as an actress. Luigi Magni’s “Secondo Ponzio Pilato” was done in Tunisia, in the amazing landscapes of dunes and oasis with hot thermal lakes. When Nino Manfredi as Pilatus walked through the desert, he really walked through the desert. In a movie of today, for the same scene, he might have walked through a studio. Consequently, the life of the actors changed. For me, it became boring, but this also maybe shows that my actual path wasn’t the one of an actress, but of someone who grabs his camera and backpack and goes out to film the birds. Or maybe we’re all just on a path of personal development, a path of discovery of our inner worlds, that are represented in the outside with what we’re doing and creating. Maybe I should add, and not be as shy as usual, that I was casted for David Lean’s last movie, that should never be done, because David died during the time of pre-production. He’s one of those few people of which you wonder what else they would have created that you’ve missed because their life ended. So, yesterday one of my idols of the cinema died at age 83. He participated in movies that triggered my dreams and belonged to a country I learned to deeply love – Egypt, which I’ve visited many times. Today, those movies are history and visiting Egypt has become a dangerous idea. 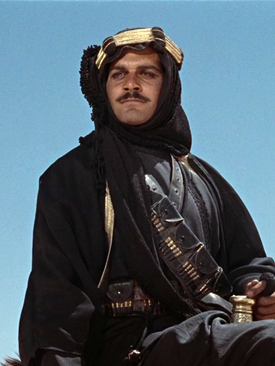 For me, Omar Sharif will always be connected to the pictures of a vast desert, beautiful and cruel, the great emotions of the movie, and the notion of a world in a very special environment, seemingly hostile to life and yet so fascinating, which has generated peoples with an own mindset. A universe that the Western world should never have touched in the way they did. Omar Sharif maybe died – Ali Ibn El Karish never will.